Lawrence McNair stands on Florissant Street without uttering a word. His eyes squinting as he faced up the 98 degrees of unforgiving heat, his arms up, and two bull eyes pasted on his chest and back. 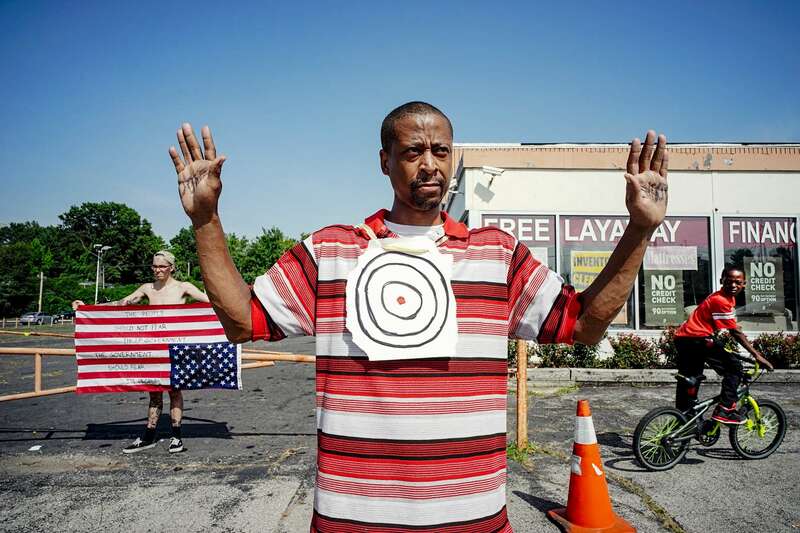 The words "Don't shoot" are scribbled inside his palms. "Someone has to stand up to these crooked cops and now is the time," he said to me when I asked why he was baking in the Sun. "This is not a sacrifice, I have to do this."